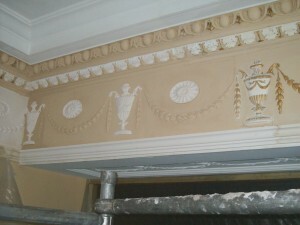 Hello, my name is Trevor and welcome to PlasterworkSpecialist.com experts in restoration plastering. I began my plastering career over 20 years ago with Trumpers. 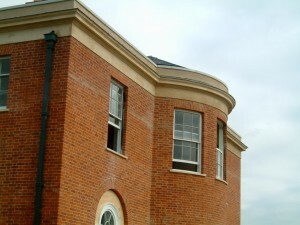 It was the Midlands most established traditional plastering company. Most noteworthy it employed some of the finest craftsmen in the UK. To become an all round plasterer requires diversity across all disciplines. My training focused heavily on the use of Lime. 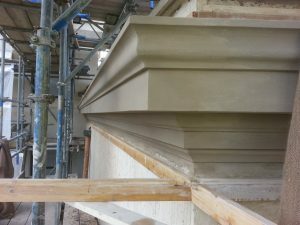 We use Lime for solid plastering and for running insitu cornice and mouldings. 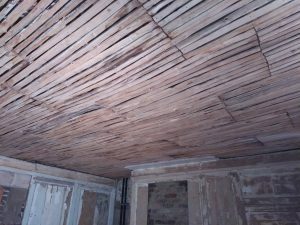 Consequently the skills, techniques and knowledge are vital to carry out restoration and conservation repairs to Listed Buildings. Furthermore due to my training background I have carried out restoration work to some of the UK’s most prestigious buildings. These include National Trust properties, The Royal Botanical Gardens at Kew, Chatsworth House Derbyshire, Jesus College Cambridge, Churches & Cathedrals and Local Authority buildings such as Town Halls, Court Houses and Schools. Above all, we carry out our work with pride and passion, maintaining our high standard throughout. Our ability and patience enable us to deliver intricate details to perfection. We are extremely proud of the great reputation we have built with our existing client network . Myself and the highly skilled specialist plasterers who work alongside me, can take care of all your plastering needs and look forward to any challenge no matter how big or small the task maybe.